Forget Facebook and other online advertising models for a minute. 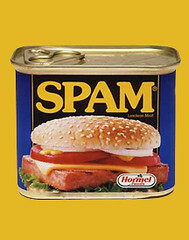 Datran Media released a study that says direct-to-consumer e-mail spam works. More than 82 percent of the marketers surveyed indicated that they plan to increase e-mail marketing this year. That’s a whole lot of e-mails. Why? As much as everybody complains about e-mail advertising, it seems to work. The Direct Marketing Association (DMA) even released a report that says e-mail ROI can hit as much as $45.65 on every dollar spent, which is twice as much ROI earned from other mediums. This study mirrors other industry specific releases sent out by the DMA, including one that predicted e-mail from the insurance industry will increase as much as 23.4 percent in the next few years. 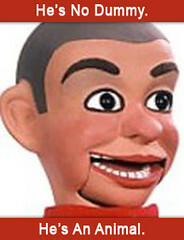 The insurance industry is not alone. E-mail advertising has become a red-hot choice among marketers nationwide. Except. There are some things working against e-mail ROI. There is the increasing pressure on state legislatures by the public. There are the issues that cross over into the Federal Trade Commission’s consideration of online advertising. And, of course, there is the growing problem of over saturation. Simply put, the more e-mail advertisements that consumers receive, the less effective the medium will become and the more likely it will be prone to stricter regulation. There are other considerations too, including that the DMA study on ROI in terms of dollars does not adequately consider long-term brand consequences or negative impressions. It also doesn’t consider the risks that more consumers associate with it. Like most advertising and communication, direct e-mail advertising is a tool. It does not work for all companies or products, and can even be detrimental for some. Inc. recently published a great column that helps temper the hype and brings it back into focus. Personally, before considering an e-mail campaign, I think many companies are better off thinking about a well-executed social media plan. Social media can be equally, if not more, effective because it allows the consumer to receive information when they want it and how they want it: RSS feed, e-mail subscription, social network announcement, Google search, etc. Sure, social media, such as a blog, is considered passive by comparison. But then again, the communication doesn’t rely exclusively on an e-mail list either. In other words, while more than 70 percent of marketers said they intend to use e-mail to enhance consumer relationships, one wonders if consumers share their point of view. Yesterday, Yahoo! announced that what was expected to be hundreds of layoffs will be rounded up to more than 1,000 jobs cut. Unfortunately, the writing has been on the wall for some time as several Yahoo! assets were underperforming. Yahoo Video fell 80 percent while traffic to rival YouTube grew by nine percent. Metacafe grew by 27 percent. Traffic on Yahoo! asset MyBlogLog, a social network for bloggers, has been declining since a poorly communicated move to Yahoo! IDs. Gmail seems to have an edge over Yahoo! Mail, which is a bit more clunky than it used to be and is largely unusable by Safari (a small, but still viable percentage of accounts). Not all the news is sour mind you. Yahoo! and AT&T are expanding their alliance. Yahoo! has cornered a big share of the $548 million market for online ad revenues for sports sites, says Forbes. And most people seem to like Flickr. Even their front page news is pretty good, even if you don’t use the search tool. These are just a few of the reasons I suspect people like the Silicon Valley Insider is calling for any ideas that might “help save” Yahoo! Part of the challenge isn’t technology as much as it is communication, inside and out. Outside, members of various assets call Yahoo! unresponsive. Inside, layoff rumors have been whispered about for some time. Even The New York Times called said the Tuesday conference call droning and jargon filled. 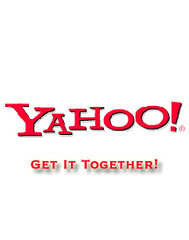 Since the best communication happens from the inside out, it seems to me that how Yahoo! handles its layoffs will largely dictate how long the road of recovery will be. Large-scale layoffs, especially when no one knows which business areas will be hardest hit, can demoralize employees to the point of paralysis. It’s especially important for Yahoo! to avoid the concept that there is some magical "clean slate" once layoffs are over. Why? As Umesh Ramakrishnan, vice chairman, Corporate Technology Partners, said: "The biggest challenge Yahoo! has is cultural. It's gotten away from the creative company it used to be—that's the difference between it and Google. Yang needs to bring that culture back and bring innovation to the forefront." I could not agree more. Yahoo! needs to get away from being too myopic and retain some of the color and creativity that seems to escape every time it purchases a company. Instead of telling employees what to do and online members what will be done, invest more time into discovering why the acquisitions were performing so well to begin with, sans the Yahoo! brand. By almost every account, Yahoo! 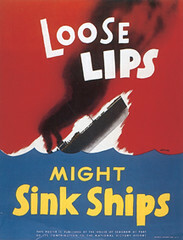 is not a sinking ship. But it could be, unless someone inside makes a serious push to bring the passion back from the inside out. And that is always much more difficult to do, when almost one in 10 employees won't be there to help. Corresponding by e-mail with Andrew Dwyer, the employment litigation specialist who owns The Dwyer Law Firm, L.C.C. and is representing Steve Biegel in the Biegel vs. Dentsu case, reminded me why some reporters become cynical over time. Journalists are not really paid enough to put up with it, but they do. For those who have been following the suit, a District Court judge recently rejected Dentsu's motion for a summary judgment in the case of Steve Biegel v. Dentsu Holdings. It really wasn’t enough for me to post about, but I added it as an update to previous posts, preferring to wait to see how things plod along before considering it a topic again. The reason Dwyer contacted me yesterday was to retract a comment that I left on a MultiCultClassics post, which had less to do about Biegel and more to do with some anti-Japanese sentiments that were anonymously left on my blog and elsewhere. Specifically, Dwyer claimed that I had “endorsed” the author, HighJive, whom he has a very low opinion of; that I called his client, Biegel, intolerant against Japanese and a “racist;” and that I might even qualify where I was in agreement with the other author and where I was not. All of this comes from an attorney who previously told me “none of the posts on any of the blogs will ever have any relevance, except perhaps to support our claims of retaliation by Dentsu.” For someone who had expressly stated his low opinion of blogs in general and dismissed them, there seems to be ample attention paid to them outside the public eye as well as any comments that might accompany them. No matter. Some might also consider it admirable that Dwyer is obviously looking out for his client. And given that, I did add clarification to the comment. Unfortunately, the clarification was not good enough. Dwyer wanted a complete retraction and/or removal of the aforementioned comment, which I am not inclined to do because I did not call Biegel intolerant of Japanese. In lieu of this, I suggested highlighting some of the more interesting points, especially since Dwyer said he would “love” to post his e-mail to me on the MultiCultClassic blog, but the author allegedly only allows comments that fit his agenda. Dwyer rescinded the idea, objecting to anything except the publication of his entire e-mail, going so far to suggest that if I only published portions of it, he would never correspond with me again. In other words, Dwyer is only inclined to allow public discourse to take place when it fits his agenda. Without some compelling reason, I have no intention of publishing his e-mails as this blog tends toward being an op-ed on communication and not Dwyer’s forum for retaliation against the opinions of others. Besides, it would likely be embarrassing for him if I did. Ironically, this is why many journalists probably would publish them, or portions of them, as they feel fit. So what is the takeaway? If you don’t like "the circus" atmosphere surrounding a subject, then don't create that atmosphere by lending heavy-handed e-mails to it. In this case, Dwyer continually risks more than he hopes to gain by writing e-mails that aim at little more than persuading people to do his bidding behind the scenes. While it has no bearing on what my opinion might be in terms of the ongoing Biegel vs. Dentsu case, it certainly has a bearing on my opinion of the value of Dwyer’s correspondence. While he closed his last e-mail saying he wouldn’t waste his time thinking I am any different than the HighJives of the world, I couldn’t help but think he wasted mine given he opened with a similar statement. Don’t they know anything? I might care what Dwyer thinks, but I really don’t care what he thinks about me. Most journalists are the same way. Some bloggers are too. And if he thought more about his communication, he might have better served himself and, who knows, perhaps his client too. Instead, he did neither. There is no retraction. His points are not heard. And, on the contrary, the comment in question is more prominent than ever. With results like these, one can only hope his effort doesn’t end up in the billable column. Inevitably, several will enthusiastically answer. Sixteen words! Seriously, if it wasn’t for the fun discussion that Doug Newsom’s text has provided me for the last several years, I would instruct the students to immediately leaf over to page 96 (depending on what version), tear the page out, and destroy it before the nasty notion that sixteen words makes a magic sentence sinks in. Newsom got the idea from Robert Gunning, author of The Technique of Clear Writing, who noted that most modern prose read by the public has an average sentence length of 16 words. Thus, he concludes, if your sentences are much longer than that, you are likely to be diminishing readability. Of course, I forgive Newsom for several paragraphs of misrepresenting sentence lengths, but only because he pays tribute to Albert Einstein who wrote one of the shortest sentences in a scientific paper. You cannot be much more clear than that, although others in the scientific community may have needed several pages or even books to explain the same. Interesting stuff, this language. All of this touches on some blog banter, back and forth, with Valeria Maltoni on the economy of language. 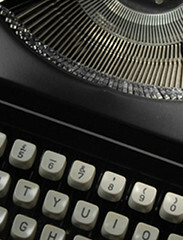 Most recently, she cited her appreciation for Reader’s Digest, noting that David Ogilvy did too. Ogilvy, for those who don’t know, is one of my favorite greats among advertising copywriters. 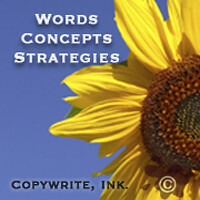 Memorable writing does tend to be simple, and not just for copywriters. As I said there: very often, the only reason writers are not able to discuss complex subjects in simple terms is because they either do not understand it themselves, live within a confined industry ecosystem, or try too hard to be clearly brilliant when all they really need to do is be brilliantly clear. Of course, none of this really means that we must all become Hemingway. Economy of language means thinking about what you write. No matter what the purpose, the burden of communication best remains with the writer and not the reader. This seems to be the very reason that James Michener struggles over his words, stopping to retype everything four, five, and six times. And, from the opposite end of the spectrum, it seems to be why William Saroyan used to throw things out because they weren’t great. That is, until one day, he realized it didn’t need to be great. It needed to be clear. There might be something to that, though I am probably more apt to say the best words are the right words, every time. Because, after all, there are no rules. Not really. For all its benefits, social media communication sometimes misses. One of my favorite misses is the constant buzz of conversation and how it differs from traditional communication. It’s even one of the premises in Join The Conversation, recently reviewed by Valeria Maltoni. Yet, despite never being engaged in social media, Shirley Polykoff felt the same way. She was a copywriter — the first woman copywriter for Foote Cone & Belding, and best known for her work on the Clairol account. Her work increased hair-coloring sales by 413 percent in six years and expanded the market from 7 percent to 50 percent of all women. Most of Polykoff’s work was grounded in conversation, not all that dissimilar from the famous Volkswagen ad I reference last week after revisiting Fred Manley’s satirical “Nine Ways To Improve An Ad.” Once upon a time, almost all ad copy was a conversation or, at the very least, an invitation to have one. Many advertising agencies have lost sight of this in the last decade, leaving some to become mired down in rules, committees, or exercises in attempting to “out clever” the other guy. Sure, that’s all fun and good, but communicators today might take more time to understand that social media, blog posts in particular, are sometimes similar to classic advertising, which was conversational. If you don’t believe it, ask the man in the Hathaway shirt. Or consider the writer. Only a fraction of ads today seem to grasp what Polykoff, Ogilvy, and other greats really meant. So what happened? Well, I have some unsubstantiated theories, but those can wait for another day. Today, I’m sharing some real advertising rules, the companion piece to last week's post. Rule 1: There are no rules. 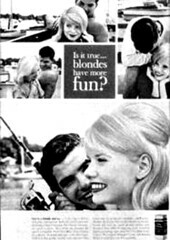 Most memorable ads in the last century broke some, if not all, conventional rules. Like Manley, Ed McCabe often said he had no use for them. Rule 2: Most products are not unique. Finding the right value proposition or product/service contrast is more important than a clever ad touting the same selling point. Copying the other guy just doesn’t work. Rule 3: Brands are important. 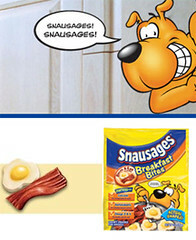 Despite this new Advertising Age article, brands are important (image campaigns, maybe less so). Brands represent the relationship between the consumer and the product, person, or company. Rule 4: Advertising messages are unimportant. Given that people are bombarded with thousands of messages every day, advertising tends to be unimportant, which is why every ad needs to be communicated effectively. Rule 5: Clients are already convinced. Clients and their spouses almost always think they have a better product or service; whereas advertising is an exercise in convincing others. In other words, it’s not about you. 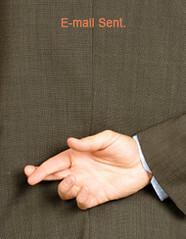 Rule 6: Many people lie. Sometimes they lie in surveys, polls, focus groups, and rating systems. There are many reasons, and sometimes, there is no reason. My favorites were early studies that suggested Perrier would never work. Pay more for water? Bah! See rule 7. Rule 7: People are irrational. Sometimes we buy things for no reason at all. It is why checkout stands at the supermarket offer great product placement and probably why I’m convinced Comet is better than Ajax. Rule 9: There is always a better way. There are a few great ads, some good ads, and a boatload of bad ads being produced every day. But even the best ads can always be made better. There are a few others, but these are nine favorites. Not one tells you what to put or not to put in a headline, despite how many people have told me to, um, never ask a question in a headline. Good thing they didn't tell Polykoff. 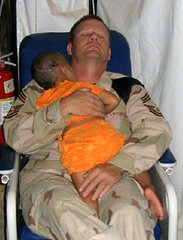 You see, Graham was diagnosed with cancer in 2003. But she seldom has time to allow this fact to shed a dour shadow on her life. Instead, she says, she chooses to live life rather than allowing her life to live her. It’s just one of many reasons that she opened a computer repair business last year. In fact, blending these two passions is what has since led her to create not one, but five different blogs. A Fe Mi Page Dis Iyah to share her love of Jamaica. Time to Eat Mon to share a surprising variety of Jamaican drinks, dishes, and recipes. 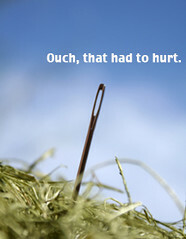 Postal Jokes to cover an endless assortment of postal humor that touches every corner of the globe. Dark Child where she explores news, politics, celebrities, and everyday life within the African American community. And Mental Stimulation, which she considers her personal blog and where her second place blog post appeared. 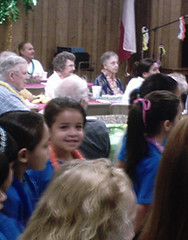 As part of the Bloggers Unite campaign, which this time asked bloggers from around the world to perform an act of kindness and share a post, picture, or video about it, Graham added on to her 10-year volunteer commitment at a local youth center and decided to visit the senior center. For an entire week, Graham served meals and spent time with Gladys, a 72-year-old woman who sometimes lives at the neighboring senior living center and gets lonely now that her children are older and busy with their own lives. Most of the time, they played hearts or spades, but Graham made a small grocery shopping trip for her as well. For her inspiring account of her service, which was accompanied by a photo taken by the receptionist at the senior center, Graham will receive a 1/2-page advertisement in Blogger & Podcaster magazine. However, Graham never intended to win. You don’t have to do big things, she adds. Just small acts of kindness that help your community. But this is no surprise coming from a woman as persevering as Graham. Her passion for writing grew out of using it to heal after a painful divorce almost five years ago. Her passion for people was made evident in October, when she wrote about her daughter for the first time. Her daughter has autism, which keeps them apart much longer than they would like. Simply stated, but inspired. Or perhaps better stated, if I am using it correctly, “One Love” as they say in Jamaica. 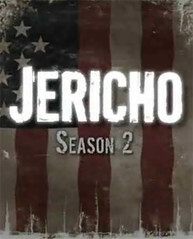 If some fans are still wondering, and some of them are, CBS did release episodes of Jericho Season 2 to the media. But it only released these episodes to the media, which is a common practice in the industry. This isn't a guess. CBS was kind enough to follow up today after I requested clarification. Given this, any speculation that the network intentionally leaked three episodes for general consumption and Internet download appears to be untrue. Personally, I want to offer my kudos to Jericho fans for their resolve in promoting the show on their own, without links to the full episodes. Instead, many of them have sent invitations to watch the new season on Feb. 12 or asked potential viewers to visit the CBS Jericho site for abbreviated sneak peeks and promos. Assuming there isn't another source that could have distributed these episodes, it does leave me wondering. How much has new media changed all media, when full length screenings can no longer be entrusted to critics without being openly released on the Internet? On Monday, after alluding to advertising rule number 5 (people sometimes lie), which is simply meant to remind professionals not to follow qualitative focus groups or quantitative surveys on blind faith, I received an e-mail asking me what some other "advertising rules" might be. I thought about posting a few, but then decided doing so deserves the same pretext I provide public relations students (sometimes public relations professionals write ads in a pinch). 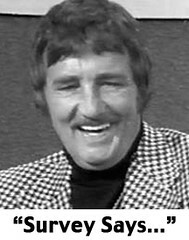 Before sharing any advertising tips, I always reference Fred Manley, then vice president and creative director of BBDO. In 1963, Manley wrote “Nine Ways To Improve An Ad.” He didn’t use just any ad. 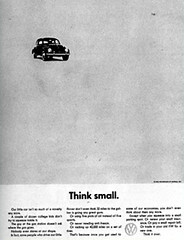 He set out to apply "rules" to the 1960 classic “Think Small” Volkswagen ad, which many in the advertising industry and Advertising Age have since called the best ad of the 20th century. There is also an Apple/Microsoft branding parody that conveys a modern take on Manley’s musings. You can find a link to it right here. So there you go. I’ll post a few smarter “rules” for advertising next week, but the most important rule is the one Manley conveyed so well. Advertising Rule Number 1: There Are No Rules. Every now and again, Ragan Communications hits upon a good story related to social media. Michael Sebastian did yesterday. Less interesting are the feuding comments that followed, which do nothing more than polarize the issue into this or that, black and white. Despite the back and forth, everyone seems to ignore that lost workplace productivity, now blamed almost exclusively on social networks, predates the social network explosion last year. In 2006, it was estimated that employees spent an average of 1.86 hours every eight-hour workday on something other than their jobs, not including lunch and scheduled breaks. Some of it was surfing the net. However, many attributed time wasting to socializing with co-workers, running errands outside the office, and "spacing out." Ragan Communications polled 430 professional communicators from North and South America, asking them if their companies permit access to social media sites. The majority said they did, but 31 percent are still left in the dark. The list of banned sites includes just about everything: Facebook, MySpace, YouTube, Flickr, Twitter, Squidoo, Second Life, blogs, podcasts, video-sharing sites, streaming, and, er, everything. But does banning these sites from the office reverse wasted productivity attributed to “spacing out?” Probably not. Will employees be given enough to do to fill their time? Doubtful. Will leadership engage employees on a level that motivates them to excel? Unlikely. The “workplace bans Internet” topic is being listened too despite being tired. Ironically, while Americans seem chafed that countries ban certain sites, they’re happily banning themselves under certain circumstances. Not only at work, but more universities are continuing to ban Google and Wikipedia. It's common nowadays and hardly news. While it is true that neither Google nor Wikipedia are adequate sources when working on "scholarly" papers (or client projects, I might add), banning Internet resources negates suitable uses for the tools, much like banning them at the workplace. There is nothing wrong with using these tools to “source” for sources, in my opinion. Sometimes searching for key information is quicker, leading you to the appropriate journal, article, newspaper archive, published government report, interviewee, or lecture podcast from Harvard. And I guess that brings me to wonder ... why? I never understood the concept that social media is more of a lifestyle choice as opposed to a versatile tool, especially in academics and in the workplace. While people keep framing it up as "good or bad," it seems to me that it all comes down to acceptable usage and asking the right questions. Do we want an air traffic controller surfing the net? Probably not. But open access to the net sure seems to make sense for an employee in charge of business development. Competitors have Web sites. And some of them have FaceBook accounts. So do prospects, I imagine. So what’s the right question? How about … how do we teach students and employees to use the net for specific purposes that coincide with their assignment or job as opposed to overreaching or simply entertainment? And, if their productivity drops as the result of abuse or if they cite Wikipedia as a primary source (yikes! ), what constitutes appropriate action? That seems more productive to me. In contrast, blanket bans seem to limit how much material might be considered for a scholarly paper and/or dictate how you want your employees to waste their time, which they might just do anyway. Survey says … just space out? Six percent already do. 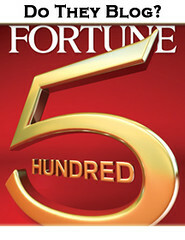 Liz Fuller, who writes Business and Blogging, recently pulled together a list of Fortune 500 blogs. In sum, she found 8 percent of Fortune 500 companies had some level of corporate blogs. Two of the top ten — GM and GE — have blogs. The GM Fastlane Blog, of course, has been sourced as a best practice staple for some time. It appeared in my first presentation on business blogs in 2005, cited for its human approach, industry insights, product updates, press rebuttals, industry passion, and responsiveness. 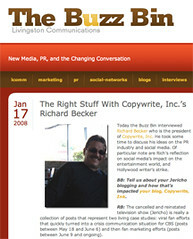 While Fuller meant her post to be a precursor to evaluating 41 corporate blogs — the good, the bad, and the ugly — in the weeks ahead, longtime recruiting blogger and recently named “Best Recruiting Blogosphere Personality” Recruiting Animal flipped the headline to conclude Business Blogging Flops, adding in a reference to The Guardian article that notes the one percent rule is an emerging trend. The one percent rule is that if you have a group of 100 people, one will create content, 10 will interact, and 89 percent will just view it. That’s about right, unless you nurture engagement. For example, our BlogStraightTalk group has 200 members with slightly better numbers, with 10 percent helping to create content, 30 percent offering comment, 50 percent viewing it, and 20 percent never dropping by again. However, although I have been focused on other projects, encouraging engagement is by design. Honestly, this isn’t all that much different from face-to-face organizations. Without encouraging engagement, members of any organization, regardless of where it forms, will likely follow similar behavioral patterns: 1-10 percent lead, 10-20 percent manage, 30-80 quietly participate, and the balance forgets why it joined in the first place. There is no difference, leaving The Guardian’s information interesting, but its conclusion is invalid because it fails to draw a comparison to real life. This knowledge brings us back to the headline flip. It seems to me that blogs and other social media/new media applications are sometimes too easily dismissed as viable because the expectation is an 80-100 percent adoption rate. This isn’t realistic. In fact, with the possible exception of business cards, I don’t believe any communication tactic —brochures, newsletters, radio, television, Web sites, etc. — has an 80 percent adoption rate. So why have we set the expectation higher for the newest communication tool on the block? Exactly. It doesn’t make sense. I can no longer open any communication-related publication without reading about the application of social media. Even Communication World (CW), which is a magazine for communication management, promoted “Social Media: Extend Your Reach” on the cover of its Jan.-Feb. issue. Given the organization that publishes CW tends to be more conservative and representative of corporate communicators than advertising agencies and maybe public relations firms, it seems to me they present an accurate picture of where business communication is headed. Much of it will be online. Will that mean every company will have a blog? Probably not. But not every company buys a television spot either. There are virtually hundreds of ways that companies can become engaged in social media on some level. And there are dozens of ways to employ a blog to fit the specific strategic communication needs of a company. As I’ve pointed out several times, a company might not have a formal social media program in place, but they are most certainly engaged in it whether they know it or not. For example, Bank of America might not have a blog, but I have more than 500 network connections (the maximum number returned) to existing and former Bank of America employees and associates in my Linkedin network alone. Even more telling, a quick Google blog search on “Bank of America” reveals more than 2.7 million hits on blogs. (That’s just blogs.) Similar results turn up on the other eight companies that round out the Fortune 500 list. Simply put, most companies are engaged in new media. Whether or not they monitor or manage their message or support a corporate blog is a different question. Because the truth is, whether they do or not, it seems painfully obvious that their customers, vendors, and employees do. In communication, especially advertising, there is no substitute for practical, hands-on experience. It’s something that underscores any class I teach. I’m not alone in this belief, of course. There are several opportunities for college students to find experience across the country, including the American Advertising Federation (AAF). While not as publicized as the NSAC, the AFF also hosts a Public Service Advertising Competition with Heineken USA (and this year, the Ad Council), which I wanted to lend some attention to today. Participants, which must be age 21 or older and members of an AAF college chapter, can submit their intent to participate by Jan. 15. The intent to participate form here. 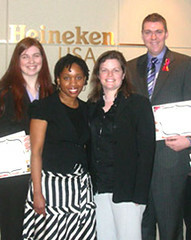 Unlike the NSAC, the Heineken USA/AAF Public Service Advertising Competition allows students to enter as individuals or teams of up to three, providing even more flexibility. As participants, the students will produce print, radio and new media (demonstrating just how deep new media is taking hold). Winners of the competition will receive $3,000 and a chance to pitch Heineken USA executives in White Plains, N.Y. (The second-place, third-place and up to five honorable mention campaigns also receive cash awards.) 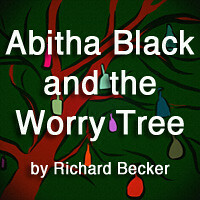 The winners will be announced in April, during Alcohol Awareness Month. As a student, it’s not always whether you win or lose (though winning can be pretty fun), but what you can take away. Despite already working in the field, one of my most memorable real life lessons came out of an advertising competition hosted at the University of Nevada, Reno (which now participates in NSAC). Our class was randomly divided into two teams and asked to develop an advertising campaign for the Reno Philharmonic. It was fun, challenging, and provided some surprising true-to-life experiences that could never be duplicated in a regular class setting. As “co-creative director” on the team, I learned that popularity sometimes influences what campaign is produced. Since my co-creative director lobbied the team for his spirited campaign, it became the one everyone wanted to produce. I wasn’t so sure the campaign was right for the demographic, but had to admit that daring the maestro to conduct an orchestra from an Indy car or roller coaster was pretty creative. The judges thought so too. Our team won for creative prowess based on their scores. Unfortunately, we lost the account based on the maestro’s comfort level with the campaign and the budget. As went the client, so went the competition. Right on. It’s not always about being clever. Sometimes it's about connecting to the audience and, well, the account. That's something you don’t always learn in the classroom. While most cellular phone customers are savvy to text messaging, some are becoming all too familiar with distress messaging. Specifically, anyone who makes up the 27 percent of the smart phone market captured by the Apple iPhone, especially if they were a Verizon customer. While I’m not privy to the response rate, my best guess is that it’s flat. It might also be causing some brand damage to what once was the network of choice among 1 million subscribers, at least those who recently made a switch. Messages such as take $100 off, come back and save, and come back to the network you trust are emblazoned on almost every panel of an 8-panel direct mail piece. Most of them, if not all of them, are misdirected, clearly reinforcing that Verizon has no idea why it has to send a “miss me” mailer anyway. It’s not the network, it’s the phone. But now, looking back, maybe there is something questionable about the service strategy at Verizon anyway. As a former customer, why did I have to quit in order to get offered the best package perks ever? For all these efforts, they were four months too late. That was the beginning of the end. Four months ago, my second-to-last Verizon phone was damaged during my ”never fly US Airways unless I absolutely have to again” flight. Naturally, once I returned home, the first order of business was replacing my broken phone. The choices were slim without a contract. So, my company made a Band-Aid LG phone buy. It was the worst phone I’ve ever owned. Contrary to the mailer’s claim “Your phone is only as good as the network it’s on,” $5 more per month for an iPhone opened my eyes up to what I was missing, starting with unlimited data, something Verizon never wanted to talk about until now, assuming you’re a lapsed customer (ie. unlimited data is now available on select phones, for new and returning customers, with one- and two-year contracts, for about $5 more than AT&T offers with the iPhone). They don’t get it. Sure, no one can say that Verizon is dead, but it’s very telling when a once perceived market leader does more following than leading. While they did pretty well launching the LG Voyager concept copy, a phone that Today’s Paul Hochman called the only viable competitor for the iPhone (I’m less convinced). However, the plan still lacks where AT&T came through. Customers don’t want 2-year contracts because technology is changing too fast to commit. More to the point, Verizon would be better served by revisiting its marketing strategy from the ground up. They need to invest more on existing customers, recognizing that the recapture rate seems thin if you wait until after a lost customer already signs another contract or are unlikely to use their iPhone as a paperweight. Besides, it costs more to recapture a lost customer than attract new customers. Why? Lost customers already made up their mind once. But above all, fix your messages. Touch gets more stylish? Come on. 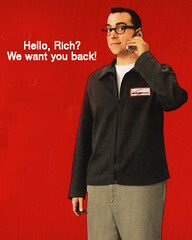 Honestly, the best thing Verizon has going is the geeky phone guy. He’s become a great icon on television but everything with text falls flat. It doesn’t connect to the smart phone market, which by all accounts, is the new market. Even Citigroup knows that. And they’re not even in the phone business. It might seem odd to some people to draw a comparison between Lifetime’s new makeover show, “How To Look Good Naked” with Carson Kressley, and business communication. But the analogy might be compelling for some. Most business owners and/or executives have a perception about their companies that will never match marketplace realities. Many market themselves based upon what works for competitors, resulting in some disastrous advertising and marketing campaigns, because one size does not fit all. On the premiere episode of “How To Look Good Naked,” available as a free download at iTunes, Kressley asks his guest, Layla, to identify where she “thinks” she fits in a lineup of women with hip sizes ranging from 40 to 50 inches. She places herself between 47 and 48 inches. In reality, her hips measure 43 inches — the complete opposite end the lineup. Imagine how this impacted her life. For 20 years, she had been making fashion decisions based on her perception that her hips were 6 inches larger than they were. The result: she looked heavier in clothes she chose than she ever looked naked. Companies often do the same thing. They apply erroneous perceptions to their communication strategy. Early last year, we were contracted by a water purification company to script three :30 radio station-produced spots because the owner wanted to mimic the market leader’s buy. He had already ordered a 32-spot buy based on the urging of the station’s account representative. Never mind that the market leader was already running 240 :60 second spots a week on the same station, compete with exclusive endorsements from the most listened to talk show hosts on the station. We did everything we could to convince the company to rethink its decision. But sometimes, people have already made up their minds when they call us. Sure, we did everything we could to convince the company to rethink the decision. But in this case, their minds were made up. 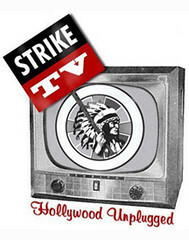 Despite being station-produced, one of the spots even won an award. But in terms of results, all they really did was reinforce the need for water purification, prompting listeners to call the competitor whose brand dominated the station. Sometimes perception is like that. You think your company looks one way, even reinforced by misapplying SWOT. But in reality, it really looks like something else in the marketplace. Much like Layla, they attempt to mimic the identity of their perceived competition by wearing several sizes too small (because they refuse to wear a size bigger) or settling for cheaper, baggier clothing to hide perception rather than embracing their best qualities in reality. In terms of Kressley’s show, no doubt some people will have mixed feelings about convincing women to parade around naked for a photography shoot. But if you can get past that little bit of Lifetime novelty, I suspect it stands a good chance of delivering on the promise of a perception revolution for women looking for a self-esteem boost. You can look successful and beautiful at any size. Of course, the same thing can be said for companies, which brings me to the takeaway. Communication plans don’t work unless you know what you look like naked. And most companies have no idea what they look like because they rely too heavily on looking in the mirror. Don’t they know? Mirrors only show you want you want to see, and almost never what is reality. According to PQ Media's word-of-mouth marketing forecast and reported by Adweek, consumer marketing is expected to top $1 billion in 2007, up from $980 million in 2006. It is expected to expand by $4 billion by 2011. “Technology has leveled the marketing playing field for brands. In the new world of marketing, customer evangelists are the key influence on what consumers buy." — Ben McConnell and Jackie Huba, Creating Customer Evangelists (cited by Adweek). Izea in one of several companies that seems to be moving right in step with the trend. Their newest social media marketing program, Social Spark, hopes to bridge the gap between blogger networks and brand advocates. You can catch a platform preview video here. 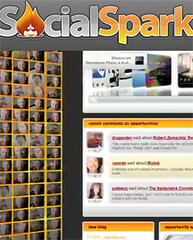 The presentation is interesting enough that we've added Social Spark to our watch list. Combined, all of this is adding up to an increased emphasis on integrated marketing and public relations. Companies are looking to support traditional advertising with aggressive website strategies and early ad pre-releases on the Internet in order to boost conversations and buzz about their message and brand. • Shoppers actively discuss current automotive dealer and manufacturer incentive programs available. • Full-size trucks were referenced most often in relation to incentives during this period, fueled by the introduction of the Toyota Tundra. • Consumers frequently reference Edmunds.com when seeking vehicle pricing and incentives, reflecting shared dealer experiences among peers. This isn’t exclusive to the automotive industry. Consumers are seeking online information to influence their decisions on just about everything, including the President of the United States. Remember last year when I mentioned the number of voters who consider the Internet their number one source for election coverage would double? It did. And then some.